Is it possible to charge to lithium battery except LiFePO4? 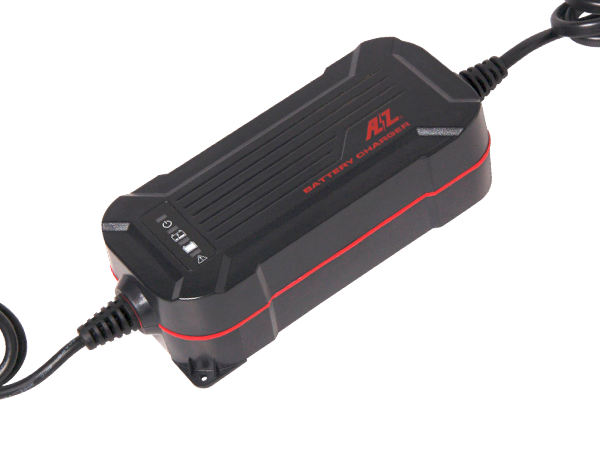 ‘ACH-200’ is battery charger for LiFePO4 battery and lead-acid battery. 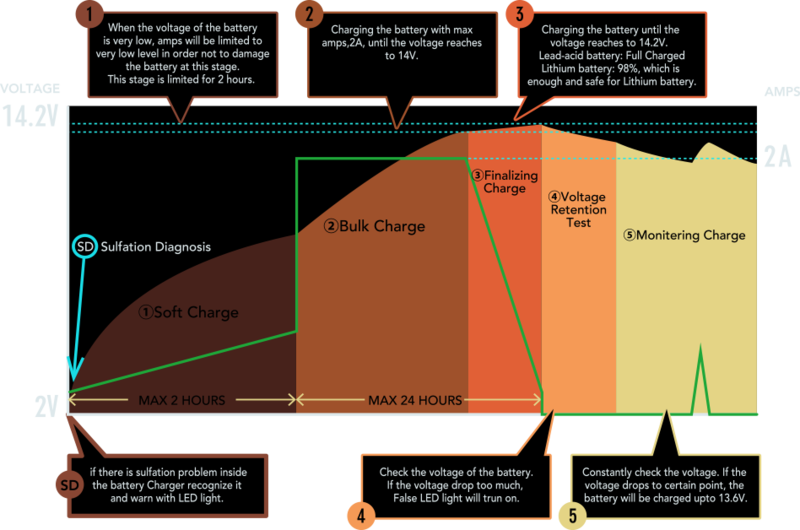 The others lithium battery of charging profile is difference with LiFePO4 battery. Is it possible to charge automobile battery. The range of battery capacity is 2-28Ah. ‘ACH-200’ can only charge 12V battery. How can the accessories get more? Please contact to the shop you bought the battery charger. How much electricity do ‘ACH-200’ use per day. Only power LED lights up. If the battery voltage is lower than 2V, the battery charger do not move. If the error LED indicated, please check the below points. 1, The alligator clip cable (eyelet cable) is connected with the positive and negative battery terminal reversely. 2, The positive and negative of alligator clamp (eyelet cable) is touched during connected to AC power. 3, The battery voltage has over 15V. If the lead-acid battery is connected to ‘ACH-200’, please doubt that the battery is sulfated. 4, The battery is short circuit. 5, The battery has deteriorated. After full charged, the engine cannot start.